When it comes to grand openings, Le Grand Bistro Americain — a French-inspired restaurant set to make its public debut December 28 at 2200 Carillon Point in Kirkland — is not exactly a first for Ted Furst. As a chef and longtime restaurant consultant he’s opened dozens of restaurants around the Sound. 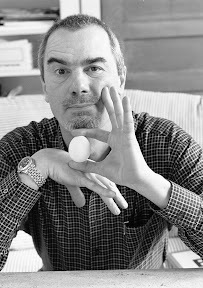 Longtimers may remember Furst as the chef who co-founded the original Campagne on Capitol Hill with Peter Lewis. Or for his longstanding contribution as corporate executive chef for Schwartz Brothers Restaurants, where he was the top toque behind the company’s hot concept Cucina!Cucina! That popular Italian-restaurant chain once held sway in Kirkland, though it later ceded its waterfront address to BluWater Bistro — since closed and re-envisioned (with a zinc bar, bien sur!) as the 140-seat bistro Le Grand. Helping him birth this baby is — sacre bleu! 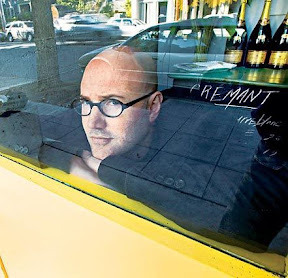 — another familiar name with a French-bistro background: Scott Emerick, former owner/chef of Cremant, late of Madrona. Ted Furst (left) has helped give birth to dozens of new restaurants. Now he’s hatching one of his own . Schooled in the fine art of French cooking, chef Scott Emerick will lend his talent to Le Grand Bistro American [Seattle Times/Mike Siegel]. At Cremant, and Le Pichet before that, Emerick won admiration for classic French cookery, producing a menu known for its charcuterie, onion soup and duck confit — dishes you’ll also find at Le Grand, where steaks frites and veal chops plus fresh selections from “le raw bar” will up the ante. “We’re not trying to occupy any regional or provincial niche,” insists Furst, who views their offerings as “kind of retro-French city food, not fussy or overly presented.” Bread will be baked in a hearth oven inherited from the restaurant’s days as Cucina!Cucina! and served alongside housemade charcuterie, including Emerick’s chicken liver mousse and pork rillettes (which, if memory serves, are among the best I’ve ever eaten). 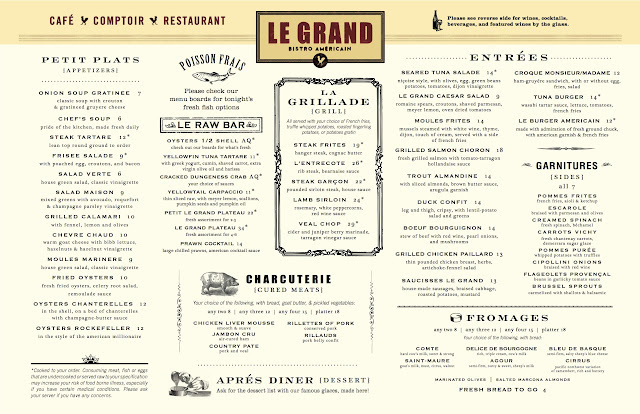 Le Grand will be open daily, initially for dinner only, swiftly followed by weekday lunch and weekend brunch.